Published May 27, 2016 by Addison-Wesley Professional. Part of the LiveLessons series. 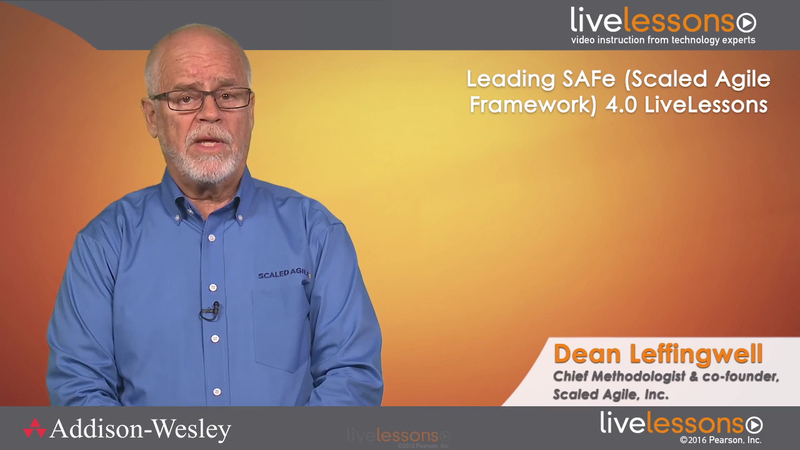 Leading SAFe 4.0 LiveLessons, 2nd Edition provides an in-depth exploration of version 4 of the Scaled Agile Framework® (“SAFe®”) and how to lead a Lean-Agile transformation by leveraging SAFe and its underlying principles of lean systems thinking, agile development, and product development flow. By applying SAFe across the enterprise, software-dependent organizations can improve time to market, productivity, quality, and employee engagement, making them more agile in the marketplace and more competitive in their industries.